Hundreds of cases of breed of 'nightmare bacteria' with new rare antibiotic-resistant genes found in 27 states. More than 220 cases of a breed of “nightmare bacteria” with new or rare antibiotic-resistant genes, have been found in 27 states, the U.S. Centers for Disease Control and Prevention said in a report released Tuesday. 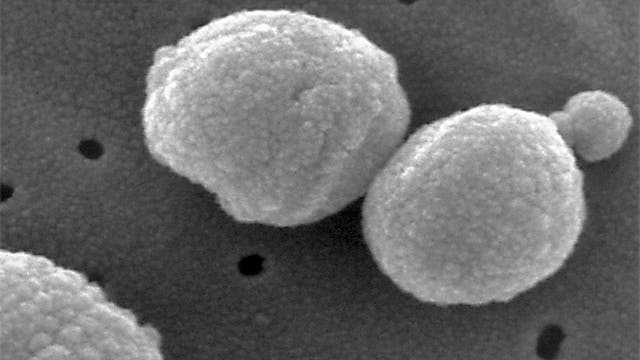 The CDC has warned of the antibiotic-resistant bacteria for years, but these “nightmare bacteria” are “virtually untreatable” and capable of spreading genes that make them “impervious” to most antibiotics, Scientific American reported. The nightmare bacteria are particularly deadly in the elderly and people with chronic illnesses, as up to 50 percent of the resulting infections are fatal, Dr. Anne Schuchat, the CDC’s principal deputy director, told the magazine. Schuchat said at a news conference that the CDC was working to get “in front of them before they do become common,” Live Science reported. About 2 million Americans get sick from antibiotic-resistant bacteria each year and 23,000 die, the CDC reported. "There are certain bacterial genes that are more worrisome than others, that are much harder to treat. These genes are lurking in American patients and they are spreading in hospitals and health care facilities." "We need to do more, and we need to do it faster and earlier with each new antibiotic-resistance threat," Schuchat said.